Running ads on Facebook and they’re not performing the way you think they should? Here’s a tip! If you’re just “boosting” your post, you’re doing it wrong. If you’re doing an ad on the back end and pointing to your website – you’re doing it better, but still wrong. Boosted posts are meant to get reach to your page. It doesn’t get the potential client to the website and generally doesn’t have much of an ROI. 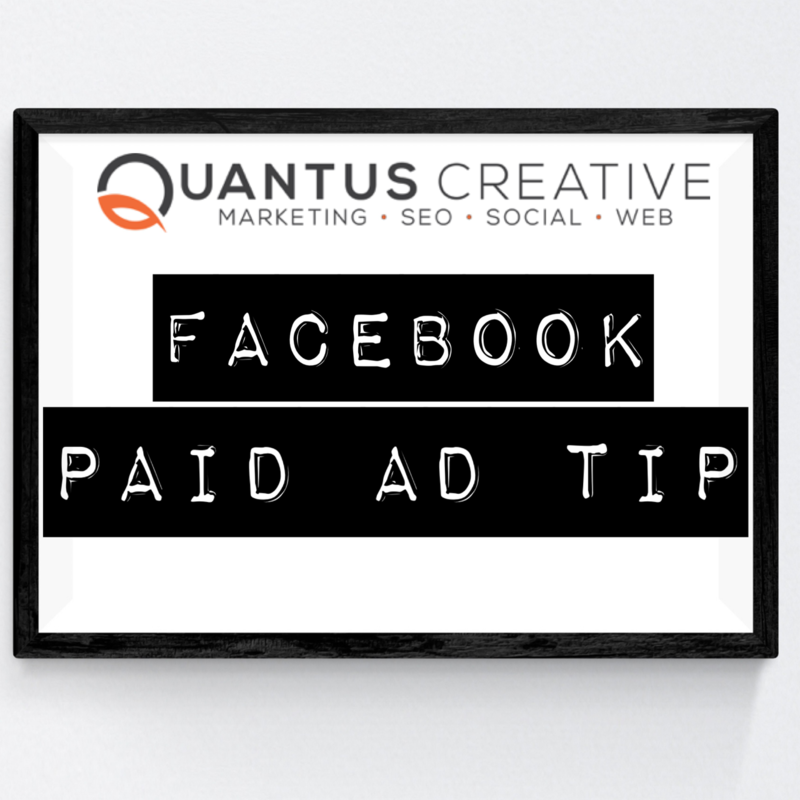 That’s cool to get brand awareness out there, but, the main reason to do this is so that Facebook sees interest in your page and makes your cost per click on the website and the back endless. So – if you’re boosting without an ad on the back end, you’re wasting money you’re already spending. If you’re running an ad without boosting a post, you’re wasting money by making your cost per click higher. There’s no point paying money for your ad to be shown to people who would never become clients. Example: for Quantus I would only run an ad that’s only going to be shown to people in my demographic: business owners in Tulsa – or for even more targeted, business owners in Tulsa that have searched for marketing in the last 30 days. My Reach? Very very low, because the demographic is low. But my ROI is high, and CPC is low. If you need help, shoot a message!